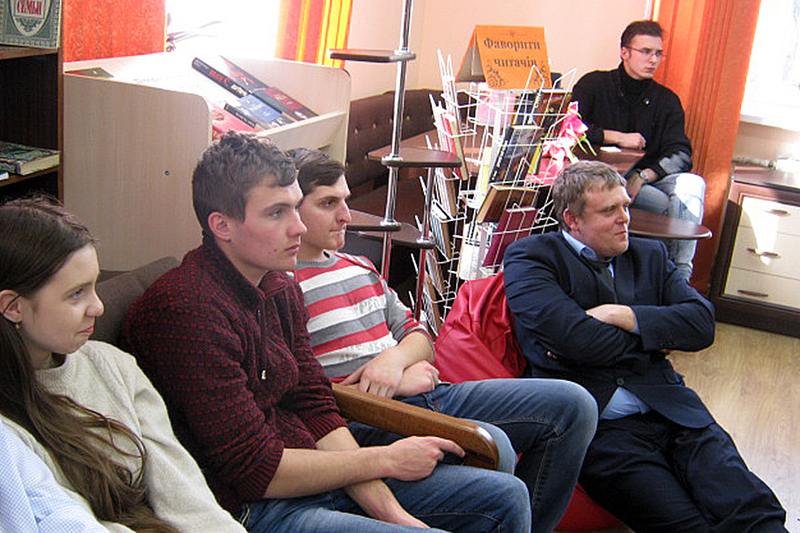 On February 27, a game research “If I were Mayor” was held at the Starobilsk central regional library. 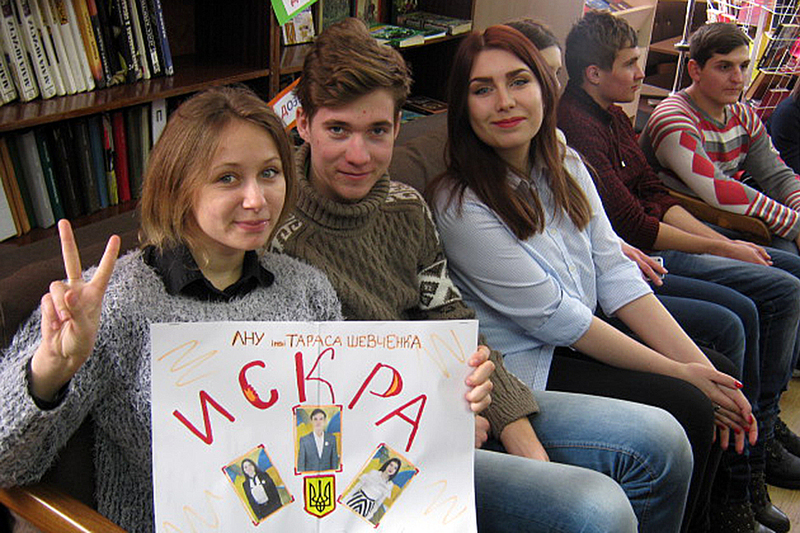 The event was attended by the teams of the Starobilsk specialized secondary school No.3, the Starobilsk gymnasium, the Starobilsk Medical College and students of the Educational and Research Institute of History, International Relations and Socio-Political Sciences of Luhansk Taras Shevchenko National University. 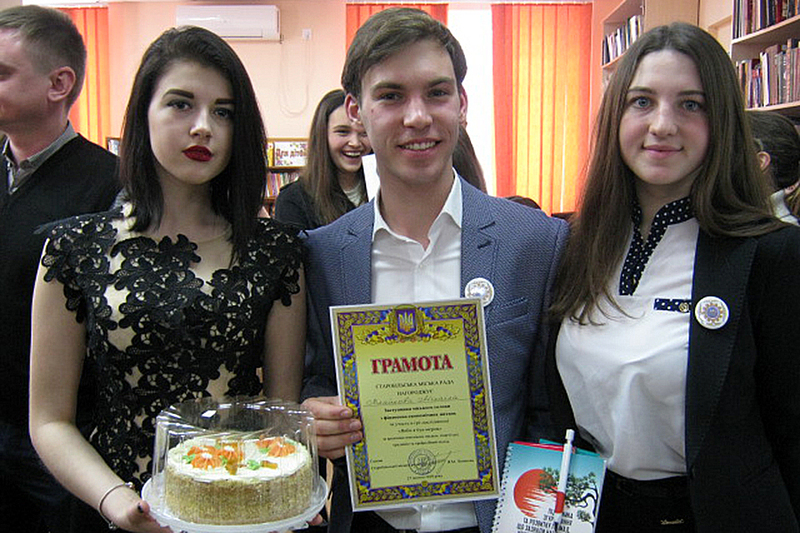 The team was presented by Mykhailo Vlaykov – a candidate for Mayor, and his magical assistants Evgenia Ermochenko and Albina Kravchenko. 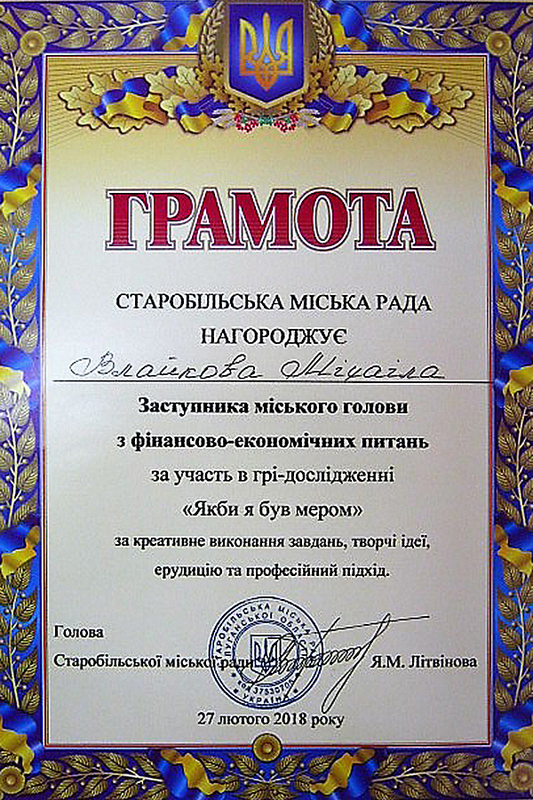 Participants competed for the honorary title of Mayor in the following contests: business card; pre-election campaign; convince me, answer the questions of the judges. 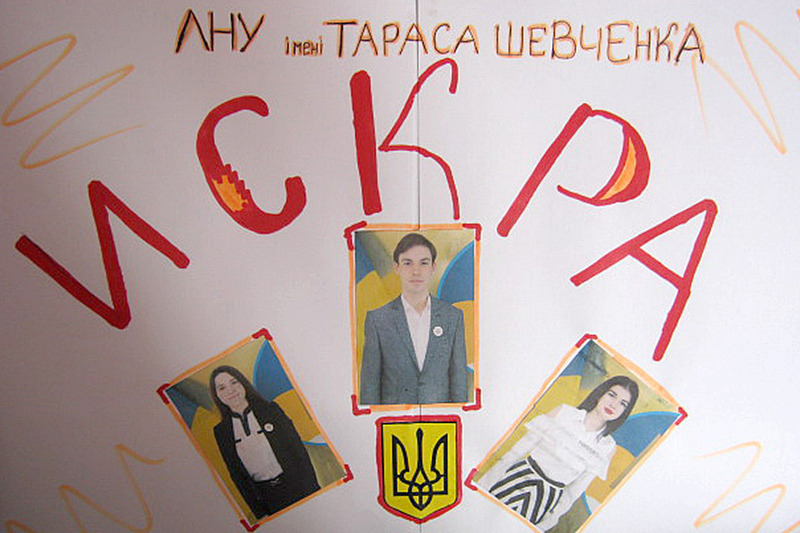 The most interesting was the contest “Convince me”, in which candidates for Mayor with their team had to prepare a speech in minutes to convince the audience of the correctness of the knowingly wrong decision made. The business card also made all the participants manifest themselves as directors, writers, and actors. A lot of humor, laughter and positivity accompanied the game. Of course, many serious questions were brought up for consideration, which worried the youth and in general the inhabitants of the city. Members of the jury invited all the teams to participate in the discussion of issues on improving Starobilsk land in the future, interact and contribute their ideas. 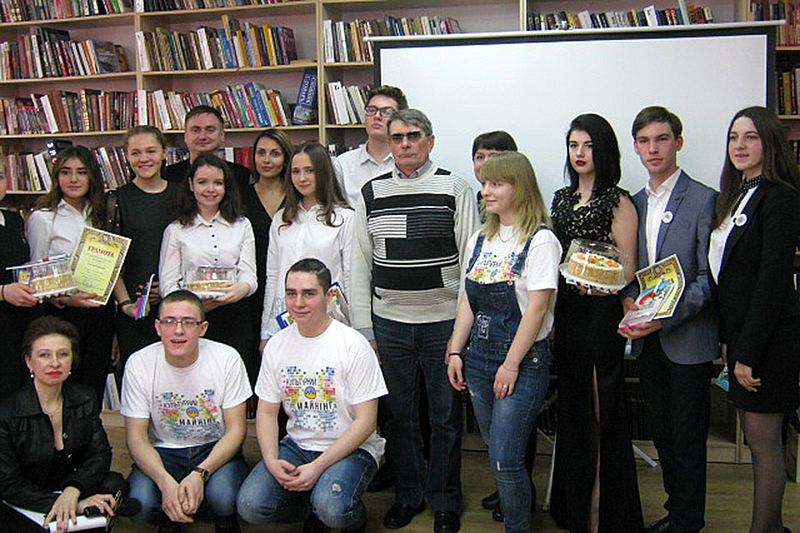 Between the contests there were performances of the dance studio “Chance” and a student of the Educational and Research Institute of History, International Relations and Socio-Political Sciences Anastasia Rudneva. 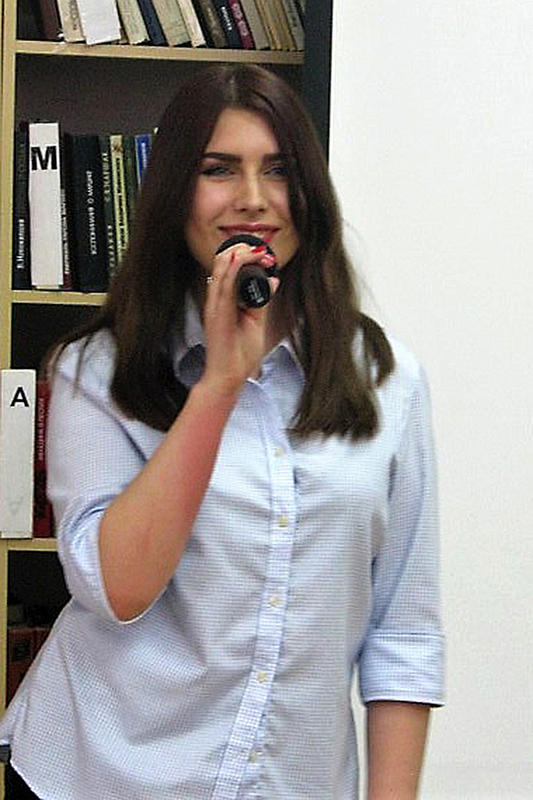 Anastasia supported the team with the performance of an energetically strong song and subdued all the audience with her charm. With the support of the team, Mykhailo Vlaikov received the honorary title of Deputy City Chairman for Financial and Economic Affairs. Congratulations to our students! We wish them inspiration, grandiose ideas, exciting projects, inexhaustible energy, continuous movement to victory and creative success!